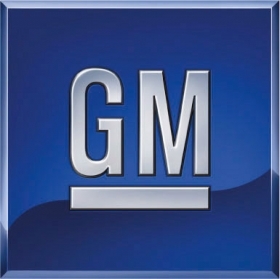 DETROIT (Bloomberg) -- General Motors Co. may return to the auto-lending business more than three years after selling control of GMAC LLC, according to three people familiar with the company's plan. GM may buy back the GMAC business, start a new finance company or form a partnership with banks and other lenders, said the people, who asked not to be identified because the plans are private. Having its own finance arm could increase the automaker's profit and give its dealers competitive leasing and loan offers. CEO Ed Whitacre wants to establish an in-house lender before taking the Detroit-based automaker public again as soon as the fourth quarter of this year, said one of the people. GM repaid government loans last month, and having an initial public offering will allow the U.S. to reduce its 61 percent stake in the automaker. Whitacre has his management team exploring all options, the people said. Acquiring Detroit-based GMAC, now known as Ally Financial Inc., would give GM a ready-made lending operation. To acquire those operations, the automaker would have to execute a deal with the U.S. Treasury, which owns 56 percent of GMAC. Tom Wilkinson, a GM spokesman, declined to comment. GM would probably want to acquire only the automotive business, said Mark Wakefield, a director at turnaround firm Alix Partners, which is winding down the bankrupt old GM, now called Motors Liquidation Co.
GM probably wouldn't want GMAC's mortgage business, which was called ResCap until the company changed names, he said. It made $175 million in the first quarter after losing $17.3 billion from 2007 through 2009. “The cleanest way to do this is to buy only the auto finance business and leave ResCap, Ally Bank and the commercial warehouse-lending business alone,” said Wakefield, who isn't directly involved in the matter. “Our position is that if we are supporting our manufacturers and customers, then the relationship works,” Proia said. GM sold 51 percent of GMAC to private equity firm Cerberus Capital Management LP in 2006 when the automaker ran low on cash and since has had to rely on outside lenders. One complicating factor: If GM owns more than 10 percent, the lender would have to relinquish its bank holding company status and wouldn't have access to the Federal Reserve's discount window for cheap funds. All parties would also have to work out a solution with Chrysler Group LLC, which has a contract with Ally for its dealers, Wakefield said. A GM-owned finance arm would have to borrow on the open market to lend to car buyers and dealers. The funds could come at higher interest rates until GM proves that it is a sound investment, Wakefield said. Russ Shelton, owner of Shelton Pontiac Buick GMC Inc. in suburban Detroit, said dealers would welcome an in-house finance arm at GM.